Daredevil closes Season 3 in style, with exciting fights, strong character development and a satisfying ending. This binge review contains spoilers for Daredevil Season 3, Episodes 10 to 13. Not caught up? Read our spoiler-free review of the opening chapters here. 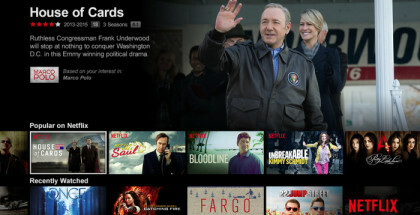 Netflix’s Marvel superhero shows – especially the ones with 13 episodes in a season – frequently struggle to sustain their momentum, which usually results in a less than satisfying second half. Thankfully, that’s not the case with the third season of Daredevil, which appears to have taken on board the criticisms of its second season and goes out on an extremely satisfying note. Episode 9 ended on an impressive cliffhanger, with Fisk ordering Bullseye to kill Karen and Matt having to choose between ambushing (and killing Fisk) and heading off to save her. The fact that episode 10 is called “Karen” doesn’t bode well for her chances, particularly if you’re familiar with her fate in the comics (specifically Kevin Smith’s Guardian Devil run). To that end, Karen’s flashback episode serves as a clever prolonging of tension, as we finally get her often-teased backstory and the truth about her part in the death of her younger brother. 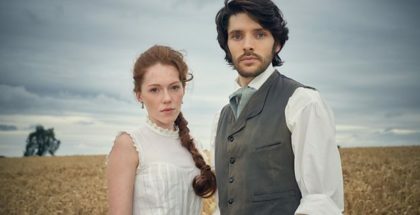 The writers are careful not to stray too far from what we already know, and they achieve the desired effect of increasing our sympathy for her, while giving us a clearer understanding of her own driving need for redemption. After Karen’s flashback scenes, the episode snaps back to the present and delivers another terrific fight sequence, this time set in a church, as Matt tries to save Karen from Bullseye’s assassination attempt. The church setting provides another direct reference to Guardian Devil (in retrospect, it’s a tongue-in-cheek trolling of comics fans), but the outcome of the fight is significantly different, as it’s Father Lantom who loses his life, rather than Karen. The fight is thrilling to watch, as Bullseye turns various church-related objects into deadly throwing weapons (candles, rosary beads, collection plates, you name it), and it also features some smart and savvy writing on the use of Matt’s powers, by having Karen whisper her plan, knowing he can hear her from across the church. 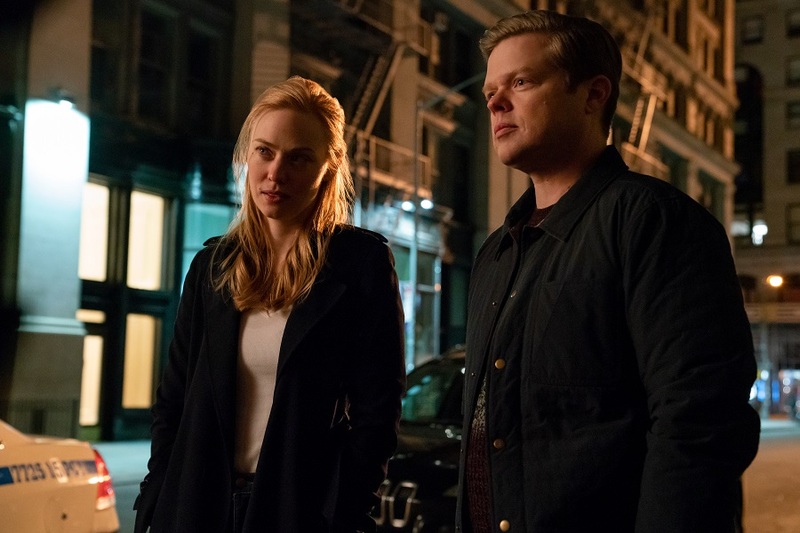 Episode 11 is aptly titled Reunion, as it finally gives us the long-awaited, well, reunion between Matt, Foggy and Karen, as they come together to decide how to deal with Fisk now that he’s officially out of jail. The chemistry between Cox, Woll and Henson has always been a key part of the show’s appeal, and this episode leans into that – even though they disagree on the solution (Foggy still believes in The Law, Matt still wants to kill him), their positions don’t drive them apart. The episode also continues Agent Ray Nadeem’s compelling arc, as he decides to testify against Fisk, partly as a mea culpa for his own part in Fisk’s machinations. As for Fisk himself, this episode gives us a brutal and shocking reminder of both his anger and his physical strength, in a moment that recalls the horrible repeatedly-slamming-a-car-door-on-someone’s-head scene in Season 1. Furious at Bullseye’s failure to kill Karen, Fisk turns to the FBI Agent sitting next to him and calmly says “Give me your jacket”, before putting it over the man’s head and beating him to death. It’s a chilling moment, not to mention a smart way of saving money on visual effects and make-up. The penultimate episode, entitled One Last Shot, begins with yet another terrific action sequence as Matt escorts Ray to court and they’re attacked by large numbers of Fisk’s gun-toting goons. Matt’s in civilian garb, so he has to pretend to be blind as they try to escape, all the while using his radar sense to negotiate a safe path through the mayhem and also telling Ray where to shoot when they’re in the van and can’t see out. This is another example of the writers finding increasingly inventive ways to use Matt’s powers this season, something that happens again when Ray gives his testimony, but Matt hears the jury being intimidated and knows that the case is lost. With that, Ray’s fate is more or less sealed and the episode gives him a moving death scene, as he records a farewell message for his wife and child and Dex arrives in his back garden to kill him. The writing on Ray’s arc throughout the season has been extremely impressive – you wouldn’t have thought, back in the early episodes (when he was just a naïve FBI agent being manipulated by Fisk) that you’d care about him this much 12 episodes later, but his story (aided by a strong performance from Jay Ali) has ended up being one of the high points of a very strong season. The other significant element of Episode 12 is the surprising return of Fisk’s wife, Vanessa (Ayelet Zurer), who plays a key part in Ray’s death when she forces Fisk to involve her completely in every aspect of his life. In fact, it’s Vanessa who orders Ray’s death, not Fisk, and all credit is due to Vincent D’Onofrio for the inscrutable expression he wears after that order is given. Is he proud of Vanessa, or does he see her decision as the beginning of the end? The final episode, entitled, A New Napkin, brings everything to a head, with Matt finding a way to turn Bullseye against Fisk. It’s a shame the show had to resort to the literal fridging of Bullseye’s sort-of girlfriend to get there, but that’s a minor criticism. Matt effectively uses Bullseye as a battering ram to gate-crash Fisk and Vanessa’s wedding, and then a spectacular three-way fight breaks out as Bullseye (dressed, once again, in the Daredevil suit) tries to kill both Vanessa and Fisk and Matt tries to stop him, while also trying to take down (and possibly kill) Fisk himself. It’s an exciting, superbly staged fight that delivers both tension and strong emotion as Matt ends up screaming into Fisk’s face that he beat him. Ray also gets a posthumous victory, of sorts, because he recorded vital testimony before his death that will lead to Fisk’s downfall. Of course, Fisk is still alive by the end, so we shouldn’t rule out his coming back for Season 4, should Netflix see fit to give it the green light. As for this season, it ends on a satisfying note, with Matt giving a touching eulogy for Father Lantom (in which he adopts the phrase “The Man Without Fear”, a nice little touch) and officially launching Nelson, Murdock & Page (or maybe Page, Murdock & Nelson) with Foggy and Karen. If Daredevil, as a series, were to end here, it would be hard to complain, as it’s a near-perfect wrap-up. All in all, this is one of the best seasons of the Marvel Netflix shows to date, with compelling characters, a refreshingly streamlined plot and thrilling action sequences that found inventive methods of showcasing Matt’s powers. 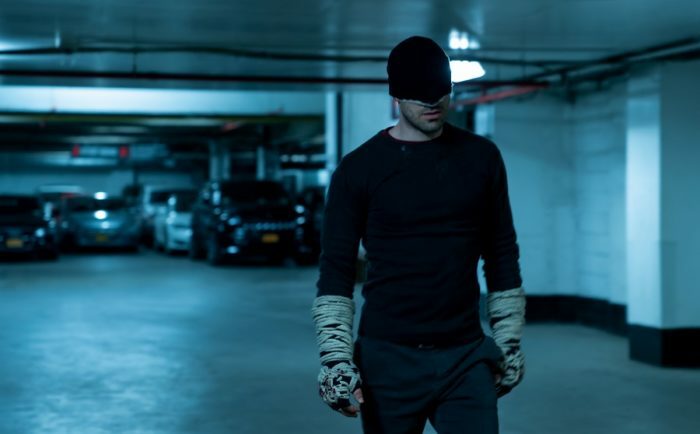 The show also deserves a tip of the hat for finding a clever way to include the Daredevil suit throughout the season without once actually having Daredevil in it. Indeed, there’s only one real criticism of the season overall and that’s that it didn’t manage to find a cameo for Turk (Rob Morgan), the street-level criminal who’s so far popped up in every Marvel Netflix show to date. So where’s Turk gone? Maybe that’s a mystery that can be solved next season. All episodes of Marvel’s Daredevil: Season 1 to 3 are available to watch on Netflix UK, as part of a £7.99 monthly subscription.